A wine lover’s and any host’s dream dining table—this extendable piece features a completely stain-resistant tabletop surface. 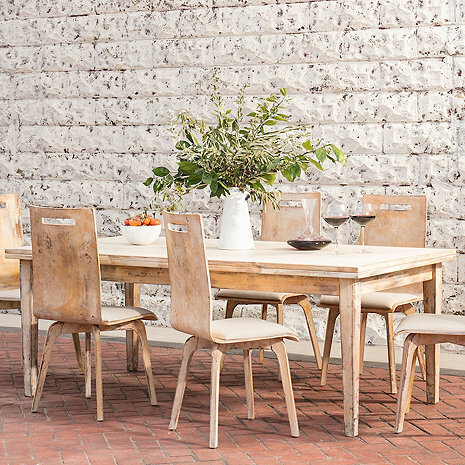 Weathered for a charming look, guests will love gathering around for spill-proof soirees. Entertain the afternoon away with this beautiful piece built to last for years to come.